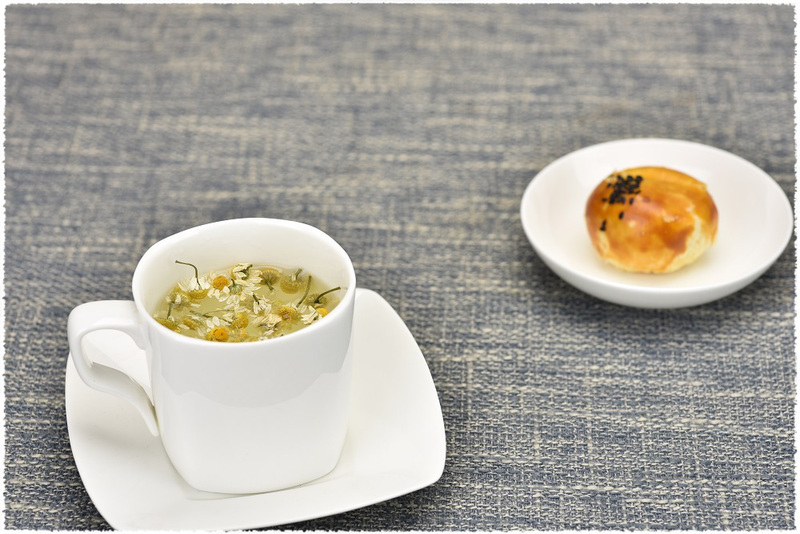 Caffeine-free tea refers to teas that are made of flowers, herbal, fruits etc. which do not contain any caffeine. Herbal Teas and Fruit Teas do not come from the camellia sinensis plant as black, green, oolong, puerh and white teas do, and they are naturally caffeine-free. 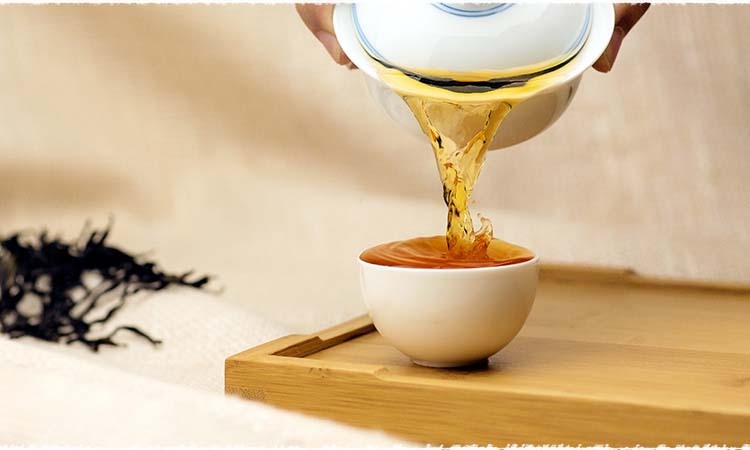 Have a cup of such tea before going to bed will enable you to relax and reduce stress. Known as one of the four noble Chinese flowers among plum blossoms, orchids, and bamboo flowers, chrysanthemum is often seen as a poetic theme in China. It is a representative flower of the Double Ninth Festival, as well as a prominent part in traditional Chinese medicine. Chrysanthemum Herbal Tea / Chamomile Herbal Tea is helpful for reducing heat, improving eyesight, and aiding the body in cleansing toxins. It is recognized by most people as the natural caffeine-free herbal tea to aiding sleep and soothe the nerves. Made only from carefully selected Roselle, Black Currant, Blueberries, and Grapes, they all have high levels of vitamins and minerals and – most importantly – taste and smell great! Blueberry Fruit Tea is fantastic to drink either hot or iced. It is also a well-know kind of caffeine-free tea. 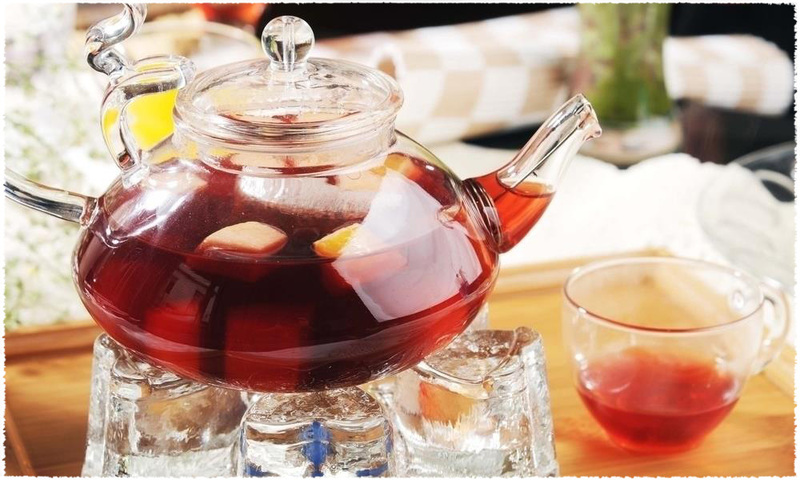 Have a look of more Fruit Teas and Herbal Teas. 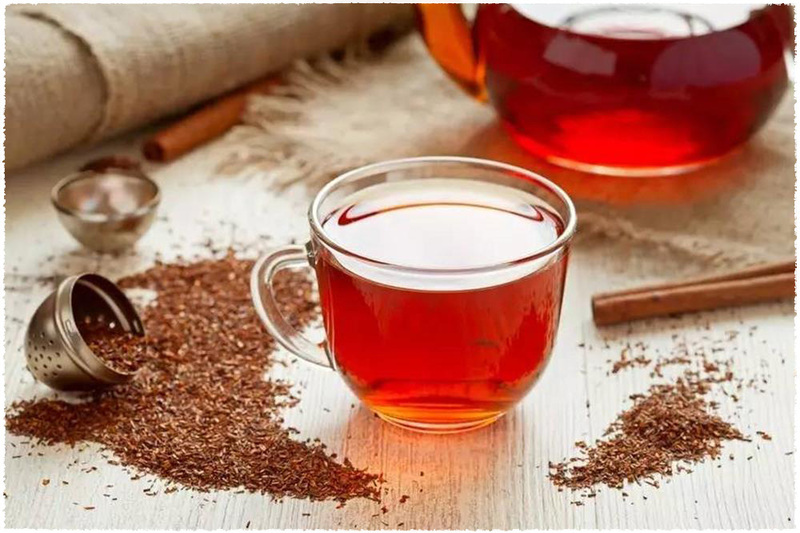 Rooibos tea, a South African tea that many people are familiar with, is natural caffeine-free and taken from a red shrub leaf that grows in Cape Town, South Africa. Some people recognized it as the best caffeine free tea. It has the aroma of traditional tea, but does not contain any caffeine, thus you don’t have to worry about affecting sleep at night. The warm woody aroma also helps to relieve stress and relax. Decaffeinated Tea (Decaf Tea) refers to the tea that has been removed most of caffeine under certain advance technology. But it doesn’t mean the Decaf Tea doesn’t contain any amount of caffeine. Decaffeinated tea contains less than 2.5% of its original caffeine. For those who love tea deeply but are afraid of caffeine affecting sleep or those who are warned by doctor to be away of caffeine, Decaf Tea will be a good choice. Decaf Teas are often gentle and you can also taste the tea’s origin flavor in good quality Decaf Tea. There are two main types of low caffeine tea. 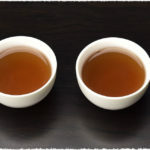 One is tea made from cultivated low caffeine tea tree varieties; the other one tea made by using decaffeination technology. At present, decaffeination technologies include traditional methods such as water removal, solvent extraction, adsorption separation, and supercritical carbon dioxide extraction, as well as subsequent development of microorganisms, enzymatic degradation of caffeine. Germany, the United States and other countries use supercritical extraction equipment to remove caffeine from tea, and made decaf tea with caffeine content of less than 1%. 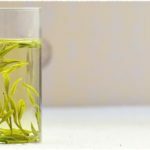 China and Japan have also produced low caffeine green tea. These low caffeine tea products still retain most of the other beneficial ingredients, as well as the good aroma and taste of tea. Ethyl acetate is a natural solubilizer that can be combined with caffeine. The tea leaves are first soaked in water and ethyl acetate, and then dried to evaporate the water. The caffeine combined with ethyl acetate will also be evaporated during this process; however, this project may also remove other organic component in tea, such as ECGC and other beneficial antioxidants. Though the process is not associated with health risks, it is well known to decay the flavor of the tea. 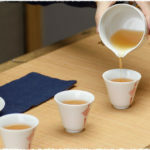 Some tea drinkers claim this method may result in a chemical taste. This method uses high pressurized carbon dioxide to “evaporate” the caffeine in the tea. Carbon dioxide is pumped into a pressure-tight room with tea leaves, to be full of the space and extracting the caffeine from the tea. The carbon dioxide and the tea leaves are then detached, and the caffeine is then extracted again by activated carbon or water. Although this process is expensive, it also has an absolute advantage – no chemical residues, minimal impact on taste and beneficial compounds in tea, as well as minimal influence to environment. This process is considered to be the safest and the most preserving of the tea’s flavors. Pressurized liquid carbon dioxide attracts the small caffeine molecules out of the tea leaves and leaves the larger molecules responsible for flavor behind. Zhejiang University Tea Research Institute, Hangzhou 310029, PR China. 2 The State Agriculture Ministry, Laboratory of Horticulture, Plant Growth Development and Quality Improvement, Hangzhou 310029, PR China. This process is generally associated with coffee beans, but some tea producers have begun using it on their tea leaves. Hot water extracts the caffeine, along with flavors and almost everything else. The water is filtered through a carbon filter, which catches the caffeine molecules. The water then is returned to the tea leaves, to soak up the extracted flavors again. Though it is a safe method, it is not widely use in the tea field. Is it a good choice to drink Decaf Teas? Many people don’t realize that the processes used to remove caffeine from tea leaves would be cause more harmful result than the caffeine itself! Even worse, the decaffeinating process will also remove some of the good stuff away from the leaves, such as antioxidants. There are also studies to suggest that caffeine in tea is good for you. If you want to enjoy the tea’s origin flavor and taste, I also suggest not choose the decaf teas. You can choose the tea with relatively low content of caffeine. The caffeine content in tea is also different in tea by many factors. For more information please check the article: Tea and Caffeine Content. The Decaf tea definitely can’t be totally caffeine free. The only way to enjoy a truly caffeine-free tea is to choose one that has naturally caffeine-free ingredients, such as herbal or fruit tea. NextNext post: What's the Fuzz on Tea Leaves ?